Nursing Home Ministry if you would like to share worship with residents, there are two dates on Sunday’s this month, both in Worthing, November 4th and November 18th 1100-1200, leaving directly after the 0830 Mass. 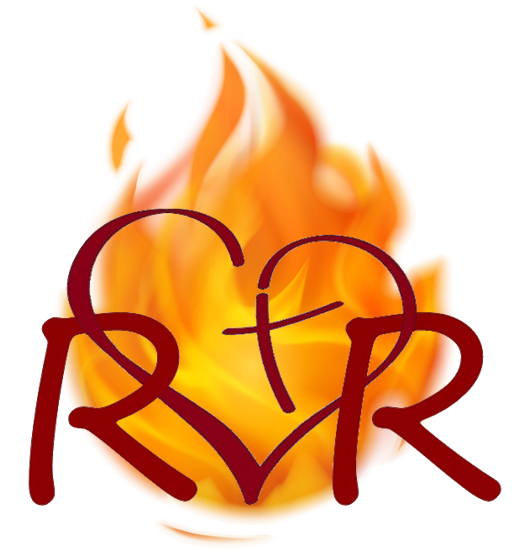 The service lasts about an hour and residents really appreciate meeting new people, help finding the hymns and somebody to pray with. Remembrance Sunday the 100th anniversary of the end of World War I, Sunday, November 11th Mass as usual at 0830 then an Act of Remembrance will take place at the Old Steine War Memorial from 11am (arrive by 1055). The Salvation Army Band will be accompanying the service led by the Archdeacon of Brighton with other faith leaders including the Bishop of Chichester and the Archbishop of Selsey. 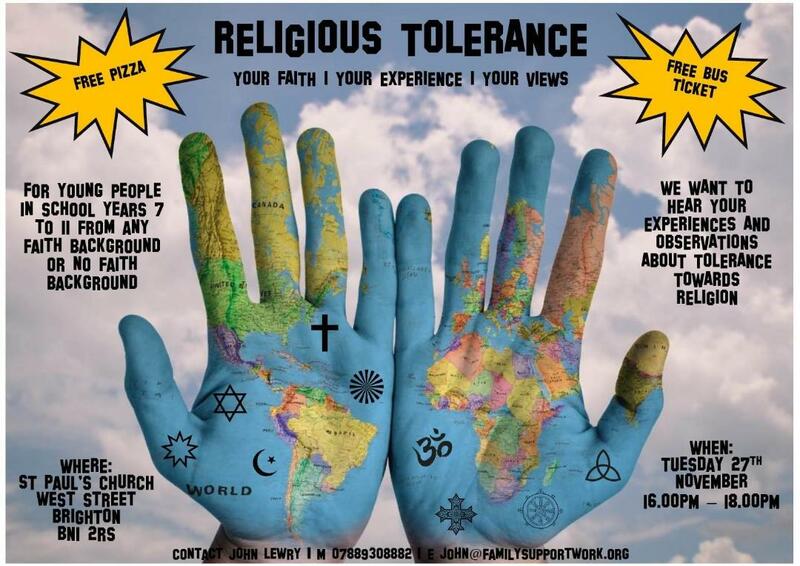 Celebrating Faith Event Sunday November 18th at Hove Town Hall, 2-6pm with stalls from local Faith groups, charities and communities. 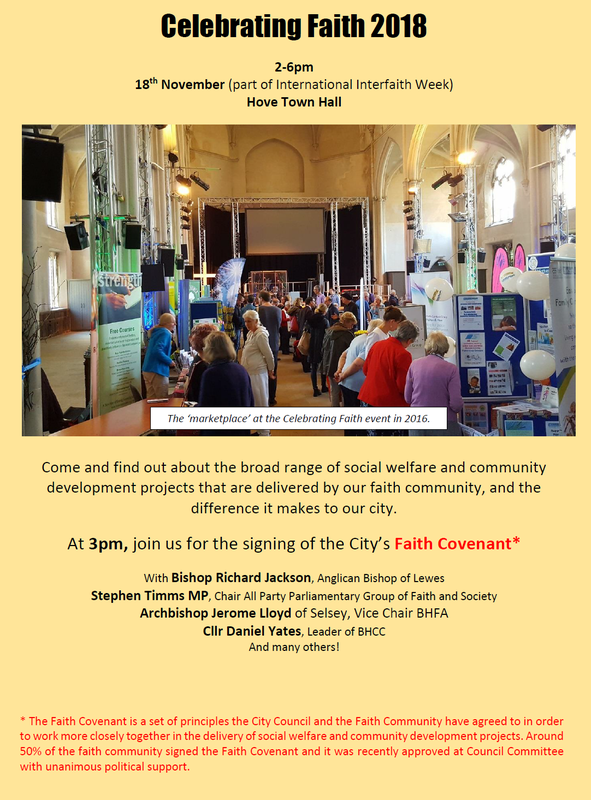 At 3pm the Faith Covenant, an agreement between the City’s Council and Faith Communities will be signed by Faith leaders including the Archbishop of Selsey and the Bishop of Lewes. The Brighton & Hove Faith in Action Annual General Meeting will take place at 5pm. A Taste of Christmas the Sunday, November 24th 6.30pm at Brighton Congress Hall, the All Aloud Community Choir present their popular annual seasonal show. Tickets £5 available from the Community Cafe and Shop.